Martin Windrow is a military historian, author,and the long-time military editor of Osprey Publishing. He is an Associate of the Royal Historical Society and of the Foreign Legion Association of Great Britain. He lives in East Sussex. He is the author of the very successful "Men-at-Arms 300: French Foreign Legion since 1945," "Men-at-Arms 322: The French War Indochina War 1946-54" and the critically acclaimed "The Last Valley: Dien Bien Phu and the French Defeat in Vietnam." 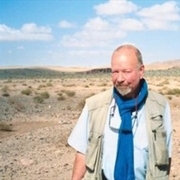 Martin Windrow was born in 1944 and educated at Wellington College. Since the 1970s he has worked in book publishing as a commissioning and art editor specializing in military and aviation history. Martin Windrow is currently considered a "single author." If one or more works are by a distinct, homonymous authors, go ahead and split the author. Martin Windrow is composed of 17 names. You can examine and separate out names.